The Rebel Alliance is constantly outgunned in their war against the Empire. Since they cannot hope to match the awe-inspiring military production of a galaxy-spanning Empire, the Rebellion has turned to salvage in order to supplement their forces—such as with the AT-RTs. First introduced by the Republic during the Clone War, the All Terrain Recon Transport, or AT-RT, has since been co-opted by the Rebel Alliance to aid their war against the Empire. 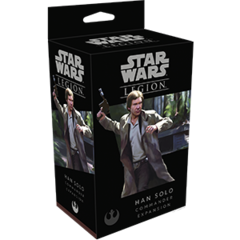 The AT-RT Unit Expansion includes a single new AT-RT miniature for you to add to your Rebel army, complete with three different gun attachments that can be attached to your miniature. 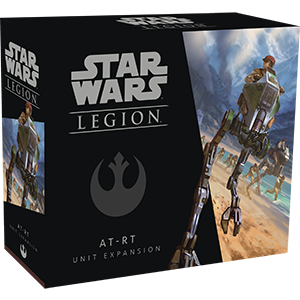 Along with the AT-RT, you’ll find the associated unit card and an assortment of upgrade cards for you to enhance your AT-RT and other units.